It's the first of the month and so it's Theme Day - the subject: Mystery Object. Meet Nairi (you can see this lovely lady properly in the last photo). 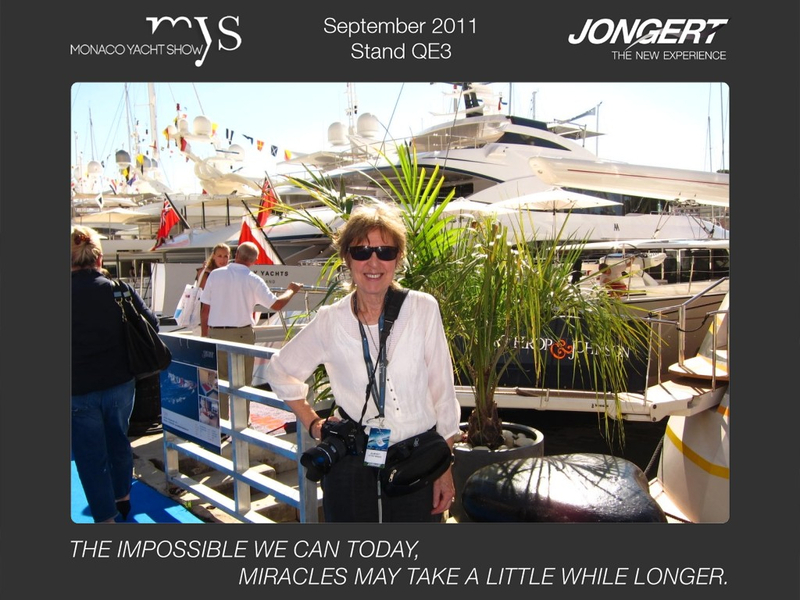 She is working for one of the yacht companies, Jongert, taking photos of visitors at the Monaco Yacht Show. An interesting promotional gimmick and all great fun. 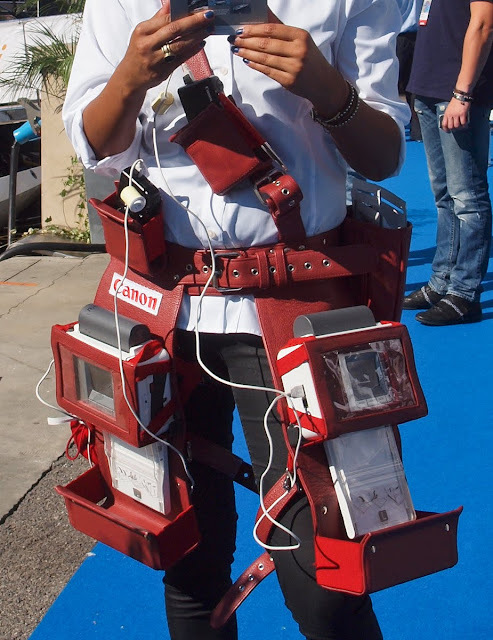 All those bags and boxes strapped to her body are part of what produces a printed photo out of the lower right-hand receptacle. It took about a minute. 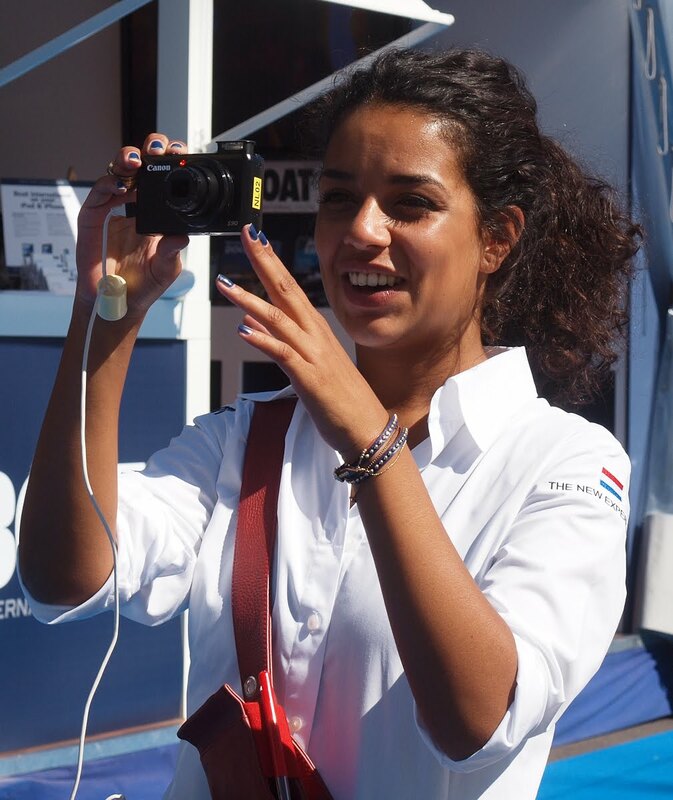 That's Nairi's photo of me in the smaller pic! 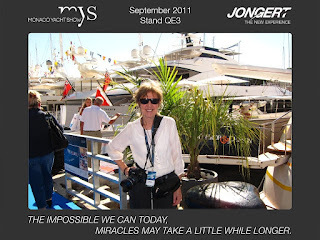 To see how others around the world have interpreted today's theme 'Mystery Object' please click here to view thumbnails for all participants. That's great I'd love one of those! She's a walking and talking photo studio! Excellent! A mobile photo lab! Love it. A digital version of a Polaroid/photo arcade on a tool belt! Cool! WV: medly = all of the above. Are the photos given away or bought? After looking at all the things she needs to carry to produce the photographs it made realized how wonderfully compact and fast Polaroids were. Antigua DP, They were given away as part of a promotion and also you can retrieve them from the company's website. Way cool. I need something like that myself!